The opening sequence sequence for this DVD had the usual high quality GMV stuff, with the intro to Luke's workout, posing, contest, & interviews. We then see Luke pumping up at the 2001 IFBB Grand Prix Australia. Luke was only 24 at the time of the shoot and the youngest guy at the contest. These days, it's impressive for a bodybuilder to even become a professional by that age, let alone compete in a competition and place in the top 10 (as Luke did for this show). It was obvious at this point in his career that Luke showed promise in the professional ranks. Something which, today, has become even more evident. He was huge as well as the most shredded guy on stage at the New York Pro Show. Dennis James was in the pump room as well, and was looking fantastic. Luke posed next on stage with the three other best bodybuilders in Australia. He hit the mandatory poses and was displaying good size and condition. Some footage of the whole lineup was then shown. Overall this was a pretty good quality contest. Stan McCrary and Garrett Downing were in the show as well as Chris Cormier and Melvin Anthony and some others. 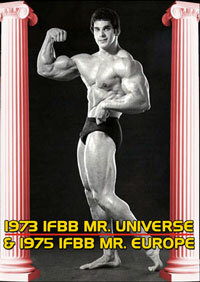 Even Stan, who has seemed to fall from grace in recent years on the bodybuilding stage, looked very good at this show. Luke's night show routine was then shown and he was looking quite good then as well. He posed first to slower music, and then to Touch It by Monifah. Luke posed to some more fast tunes before finishing up his routine. Some posing was then done by 2001 IFBB Australian Grand Prix Champion, Chris Cormier. Chris posed to the song Ride or Die by DMX. His waist looked very tiny and his conditioning was good including his glutes. It's unfortunate, but since the time of that contest, Chris has not made any significant improvements. That said, he still looks good and is still the top five or 10 in the world, but he has just not made improvements in condition or muscularity as some other Mr. Olympia Competitors have. Luke was then announced to be the highest placing Australian in the show, placing 10th, and was also the youngest in the show at only 24 years of age. 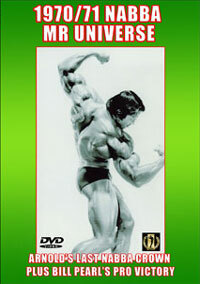 If you are interested in purchasing the 2001 IFBB Australian Grand Prix on VHS, CLICK HERE. Luke was on hand at the 2001 Mr. Olympia Contest. Luke explained that he's a realist and that by the time he's 30 he could be in the top 10 at the Mr. Olympia Contest. I would tend to agree that he probably will be. Luke also explained his plans to compete at the 2003 Ironman Pro Contest. Something which he later went on not to do. Next up was some training footage of Luke in the gym. He was in sharp condition during this section and sporting good size as well. Aside from training, Luke also did some posing in between sets wearing shorts. His legs. He is now basically a cartoon character which is why it's interesting to note his relative lack of size in the DVD. He has since gained what appears to be easily 15-20 pounds of solid muscle with improved conditioning while not getting any taller. He was a big guy at the time of the DVD shoot, but is now among the biggest bodybuilders on the scene. Luke performed a number of different exercises. This training sequence was much like a pump up session, much like the kinds bodybuilders perform before contests. Basically Luke did a full upper body workout, but with reduced numbers of overall exercises and sets just to get the pump going in his upper body (which he did). Some slow motion footage was also included which was a nice touch. While Luke worked out and posed we got to see a bit of this. The music track was also quite fitting for this sequence. 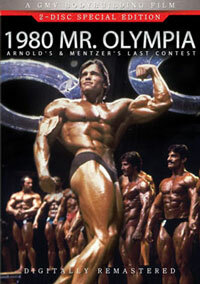 I am a big fan of bodybuilding videos to begin with, but those by GMV Productions take the cake! Luke didn't forget to get the pump for his legs as well, starting off with leg extensions. He followed up with some posing of his quads, hamstrings, and calves, which were shredded, vacular, and huge. The separation in his hamstrings was especially impressive. Next up was the 2002 IFBB Australian Grand Prix, where Luke was the only Australian in the show, repsenting the country and his sponsor, MRM Supplements. The pump room footage was very good, with Chris Cormier, Dexter Jackson, Stan McCrary, and once aain, Stan looked quite good. Much better than he has in recent contests. While most of the pump room footage shown focussed on . Wayne Gallasch of GMV needs to be commended for his efforts in travelling the world and getting the footage found in these bodybuilding videos. No one else does it but him, and a lot of the history of bodybuilding would be lost if not for Wayne, and also his son Sean who currently works for GMV. CLICK HERE to purchase the pump room video on VHS. Some stage footage was shown and once again, I was impressed with the lineup. This was a tough show! Usually the Grand Prix shows of bodybuilding do not offer much in the way of prize money, but the lineup was still strong (albeit small in this case). Luke Wood was then called out on stage to do his mandatory poses and was looking good - improved from the 2001 IFBB Grand Prix Australia. Next, footage of the some competitors called out together was shown. They went through the mandatories and it was obvious that Luke's conditioning was bang on (he had shredded glutes and a sharp serratus and abs. Chris Cormier did go on to win the show and the $10,000 in prize money, and judging by the footage that I saw, this was well deserved. Chris has what some other bodybuilders don't have and can't train for - an excellent genetic shape (proportion and symmetry). You can only train for that to a certain extent and the rest is in your genes. In this segment of the DVD, Luke was interviewed about his seventh place finish at the 2002 IFBB Australian Grand Prix. He explained that he was happy with the result and also what his contest prep was like. Luke said that his legs were his best body part and that he felt he needed to bring up his arms and chest to achieve continued success in bodybuilding. Luke explained his roots in bodybuilding and that he was always a big kid so was always a good candidate for muscle building and size. Luke also explained the importance of staying humble with success and that your physique will get judged after your personality is. Even though that's probably not how it should be, that is how it is, and some bodybuilders have been rewarded for it, while others have been punished for it. Luke also detailed his nutritional program and the necessity of having protein. He mentioned his sponsor, MRM Supplements, and how pleased he was with the quality of their products. He said it makes his protein intake a lot easier to get. He also pointed out the difficulty in making a living off of bodybuilding and said that unless you are the top 10 in the world, revenue from bodybuilding is unlikely and another job would be required. Next some posing of Luke was shown. He posed to the song "It's like that, and that's the way it is" and then to "My Sacrifice" by Creed. After the posing was complete, some footage of Luke at an expo was shown as well as some footage of Luke training during the credits. The DVD was shot on location in Melbourne, Australia & Las Vegas, U.S.A, with the workout taped at Doherty's 24:7 Gym. Overall, this was another good addition to the GMV collection. It was well produced and edited. The photography was good as was the attention to detail and efficiency of the footage. It gave the viewer everything they would likely be looking for without being boring. I loved it! 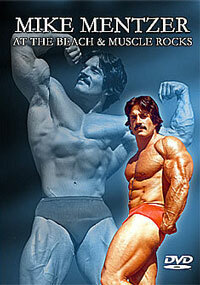 If you're a fan of Luke or bodybuilding videos, this is a DVD you will want to check out. Frankly, I look forward to the day where I have the entire GMV video collection in my house.